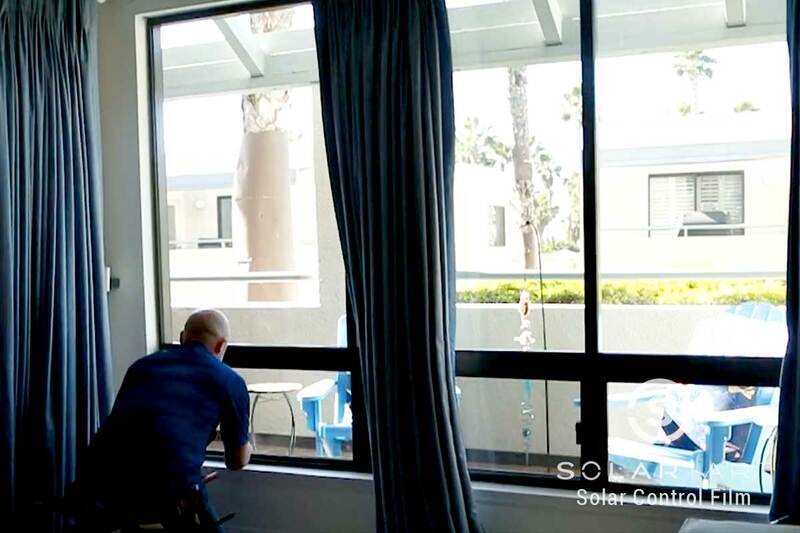 Solar Art got the opportunity to install solar film to the windows of a residence in Santa Monica, California. When the sun would set in the afternoon, our customer would notice a significant amount of fading on her carpet and furniture as well as an increase in temperature inside of her home. Living in Santa Monica, the customer had really nice views that they didn’t want to compromise with shades or blinds. They also have a strict homeowners association that wouldn’t allow darker window films. In addition to the HOA rules, there are certain window films that work better with homes close to the ocean. The customer reached out to Solar Art to see what their different window film options were. They worked with our sales representative to figure out which window film would comply with the HOA rules and would help fix their problem of sun fading and increased temperature in the home. They decided to have a Huper Optik ceramic window tint installed to the windows throughout their home. Huper Optik Ceramic 60 is a perfect solar film for beachfront homes or homes that receive a lot of sunlight. Excess UV rays can damage the coloring of your furniture, rugs, and carpets. 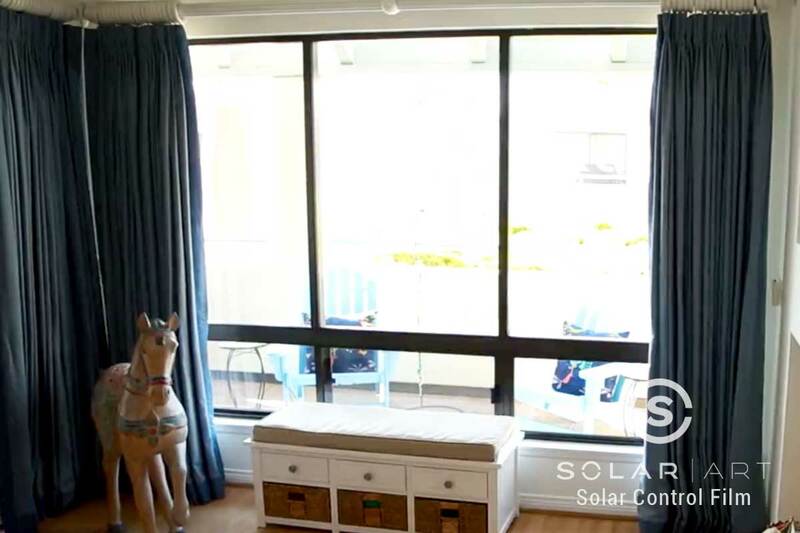 Solar film protects the inside of homes from fading, keeping it cool and more energy efficient. Ceramic window tint is an optically clear window film that won’t obstruct views, ensuring you will still be able to enjoy your view. Ceramic window tint is resistant to high salt environments, working great for beach front properties. Ceramic window tint is a heat blocking window film, and Ceramic 60 specifically reduces glare by 34%. Huper Optik Ceramic 60 rejects 99% of UV rays. It rejects 43% of total solar energy , or how warm your house gets. The customer was extremely happy with the ending result of the installation because their floors and furniture were protected from sun fading and their house was noticeably cooler in the afternoon. They were able to find a window film (29,000) that has optimal performance near the ocean as well as complies with their HOA rules. In addition to solar film, Solar Art also services decorative window film, anti graffiti film, security window film and custom graphics. All services work great in both residential and commercial settings. Contact Solar Art today for a free quote! Interested in Huper Optik Window Film? Contact us directly to talk about ceramic window tint! Huper Optik window film works great in both residential and commercial settings. It is an optically clear window film that reduces heat, glare and blocks 99% of UVA and UVB rays. Contact Solar Art to learn more!